It's Blog Hop time! 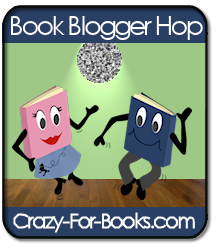 Thank you Crazy-For-Books for hosting the weekly blog hop! This week's question is: What book are you dying to get your hands on? I'm dying to get my hands on Last Sacrifice (Vampire Academyy #6) by Richelle Mead. I have followed this series for years and cannot wait for the conclusion. Thank you so much for stopping by I'd So Rather Be Reading! Make sure and sign up for our July contests---they are open to the US, and anyone can enter. Hopping through. I'm already a follower. December feels like a long ways away to wait for Last Sacrifice. I'm so excited for it! Would you believe that I'm very late.. hence I must be in another hemisphere thinking it's friday! I just landed back on planet Earth so had to do a twirl here and catch up on all that I've missed! Thanks for visiting my blog. I already have Frostbite on my shelf but haven't started with the 1st book yet, Vampire Academy! PS. I love your blog header!